The portrait of a young man in black by Palma il Vecchio is located in the Golden Salon of the Royal Palace. The painting belongs to the initial Royal Compound collection and was purchased by HRH Prince Paul, through the famous art dealers Duveen Brothers. Since its arrival in the collection, this portrait has always been exhibited in the representative areas of the Royal Compound. Although small in size, this portrait has great power and intensity of the presence of the portrayed person. From the dark background emerges the figure of a young man in dark elegant clothes of the time with only brown and black tonalities distinguishing different textures of the soft velvet of the robes and hats, and glossy fur with which it is edged. His wavy hair that falls on his shoulders is painted in the same tone, as well as the precisely trimmed beard that frames the face with sharp features. 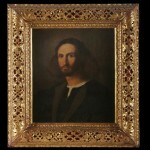 By its form of a small “bust” portrait, which shows only the head and shoulders, as well as by the dark colours and modest clothes of the portrayed, this portrait belongs to the classic portraits of scientists and intellectuals of the Renaissance. Yet the intensity of the view directed towards the upper left corner of the painting suggests that this portrait was in fact a reflection of the artist’s face in the mirror. 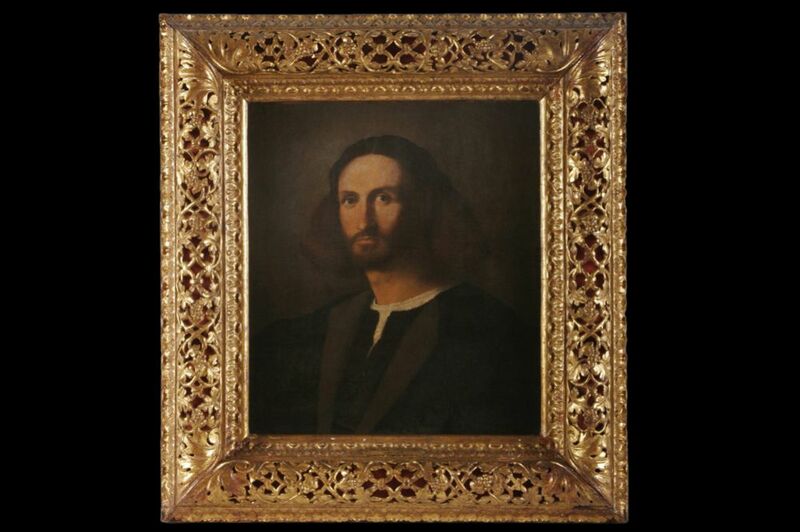 The resemblance of the presented figure with known self-portraits of this Venetian artist also supports the theory of self-portrait. Since the early 15th century painting of self-portraits became one of the key mechanisms of highlighting and confirming the artist’s social status. Although in the mid-15th the artist position slowly transformed from mere artisan to the esteemed creative artist, the real status was not permanently secured. Despite Alberti’s and Brunelleschi’s treatises and works on perspective, as well as Cellini’s autobiography, it took centuries for the artists to gain the proper respect for their creativity and work. For these reasons, the recording of artist’s character was supposed to be the key validation of his eagerly anticipated confirmation in society. On all the self-portraits of this period as well as in our painting, Palma il Vecchio was never shown with the attributes of an artist. He never holds a palette or a brush and very rarely presents himself in the act of painting. The character and role he chooses for the representation of his identity is the character of a courtier, that top figure of the Renaissance man who was shaped in Balthazar Castiglione’s book. This was a man whose every move and act emanated perfection that was the epitome of sprezzatura of absolute ease of acts and existence. The image of himself that the artist left for eternity had to be a reflection of the ideals of an epoch.